Supplied with Anti-Thrust latch which automatically deadlocks when door is closed. Adjustable backset 60 and 70mm, suitable for door 35-45 mm thick. 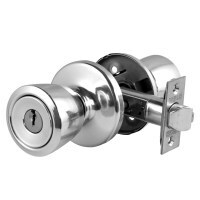 Supplied with smart key cylinder and with Weiser Brilliance anti tarnish finish on outside knob. 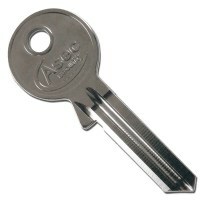 Latchbolt is withdrawn by key from outside and knob inside. Outside knob is always fixed, inside knob is always free.